Can they be as favourite as Kaylani&Lisa ?!? Just took a look again at their profile and solidified my thoughts that this team will be an early boot. Prays and hope that I am wrong. My guess (WHICH I HOPE I'M WRONG) is that they may be one of the first three teams eliminated. -_- Don't get me wrong. I was rooting for them over Joey and Danny. And was cussing when they didn't see the pit-stop. It was a heart-wrenching moment but... I guess it had to happen. I mean, don't they just remind you of Kaylani and Lisa? Both teams finished the starting line task LAST. Okay, time to post in the coincidence thread. Here's the post I made over on the other thread. Kinda ironic and funny. "We both finished the starting line last. No, we're not related." Don't put something on your head if you want to win the race. I mean, don't they just remind you of Kaylani and Lisa? Why do you think I liked them? I wanted to throw my bottle of pop at them when they ran back to their way. To me, Their elimination was the most dissapointing elimination in the history of the race! i really wanted to see them make it far and i wonder what could have been! 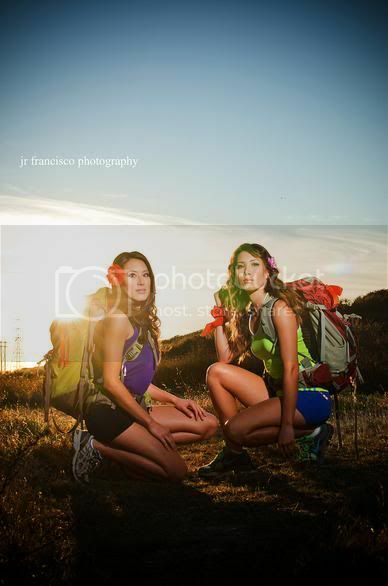 Misa and Maiya Tanaka had the final Top 10 spot locked up on The Amazing Race 20. After engineering yet another comeback, the sisters were 80 yards from the Pit Stop — except they inexplicably missed seeing Phil Keoghan, the Pit Stop greeter and the production team. While they frantically searched the grounds of the Patios de Cafayate winery in Salta, Argentina, friends Joey "Fitness" and Danny checked in. Months later, they still can't explain completely how they didn't see Keoghan, but they tried their best below. Let's just get down to it: How the hell did you miss Phil? Maiya: [Laughs] When you're that exhausted and you're under that must pressure, you get tunnel vision. So you only see what's a few feet in front of you. I don't know how it happened. We just didn't see him. ... And we didn't exactly know what to look for. [Laughs] We know what Phil looks like, but we didn't know he had an entourage. I know that makes no sense, but we were just frantic at that point. You didn't know there would be a production crew? Misa: We didn't know what it would look like. It was so frustrating because we were literally right there. And we ran around the whole property. When we got back there and realized we were just there and we missed him, it was just beyond frustrating. Me and Maiya are both really, really competitive and it was definitely heartbreaking for us to come in last knowing we were right there. You made so many comebacks and you had it. Do you think your nine lives ran out? Misa: Yeah, we just felt like we kept getting so unlucky, but no matter what we just kept fighting. We kept hope that if we stayed strong that we'd catch up and that we'd be able to beat out one other team at least. At the end, we just don't know what happened. We thought for sure we'd make it on the mat before the guidos. Phil says you guys checked in a minute after them. Misa: Yeah, it was really close. They were just getting off the mat. They got to the empanada place at least 15 minutes before us. We were disheartened, but we never gave up and we busted out those empanadas as fast as we could. We had probably 10 to 12 empanadas on them when we left. They were making them at a different pace than we were. [Laughs] But yeah, as we were running up to the mat, we saw them. Does it make it even tougher seeing them beat you? Maiya: I think the hardest thing to swallow was knowing that we were right next to Phil. Phil told us, "This has not happened in the history of The Amazing Race. You just made one of the biggest boo-boos I've ever seen." As soon as he said that, I started bawling my eyes out. Misa: I was just so mad that I couldn't cry. I was just extremely frustrated and irate that we made such a huge mistake, knowing that we were so frantic during that critical time. I just couldn't understand how we made a mistake like that. We were right there! Why didn't you bring in your bags to do the challenge? Maiya: To be honest, our bags were so heavy and we brought them out every other time that we didn't need them. So that last time, we just weren't thinking and we were tired and were like, "Screw our bags!" ... We figured if it came down to a matter of seconds, where we had to run, we would run without our bags. Misa: We were in such a big hurry too. We were like, "Well, we probably are gonna have to drive around after this, so let's just leave them here." We just wanted to run in and take care of the challenge in front of us because we were last. Do you think if you had brought your bags in and still missed Phil, you would've been safe? How long did it take to get your bags? Misa: Right. It's hard to say if that would've made an impact on our nerves and stuff, having our bags already. Still, at the end of the day, we just missed it somehow. You talked about how competitive you are, being golfers. Were you surprised at how off your game you were? You were last at some point in all the tasks, you drove into a sand pit and you missed the Pit Stop. Maiya: I am used to traveling, I am used to pressure, but I'm also used to going at my own pace and making my own schedule, so this was definitely outside of my comfort zone. It was a bunch of unlucky situations. We had no idea it was going to be so hard to find the clue in the balloon, but no matter what, you could tell our competitiveness by the fact that we never gave up. We sprinted up that hill up the vineyard so many times. Misa: Having skills and any physical ability — that was an advantage to us to get through these tasks, but you have to have luck on your side too. There was no skill to be able to find that [balloon] clue. And Maiya was actually the first one to try to find me when I landed [from skydiving] from the second set of teams. She didn't know where to park. She didn't realize it wasn't a four-wheel drive. Where do you think your mistake ranks among the show's biggest? Misa: It's almost as bad as that. But they weren't right next to the Pit Stop. You were right next to it. Maiya: I'm getting my stuff set up for golf. I'm trying to figure out sponsorship stuff and I'm trying to get on tour full time, starting up in March. ... My theory is I got all my bad luck out on this Race that I should win a few of my events coming up! Misa: I'm back [working as a car buyer]. Hopefully other things will come out of this. My dream job is to be an entertainment host, do commercials, do some print work, things like that. Hopefully that will come into fruition and hopefully me and Maiya will be able to participate in some charity events. We'll keep everybody posted through our website, TanakaSisters.com. 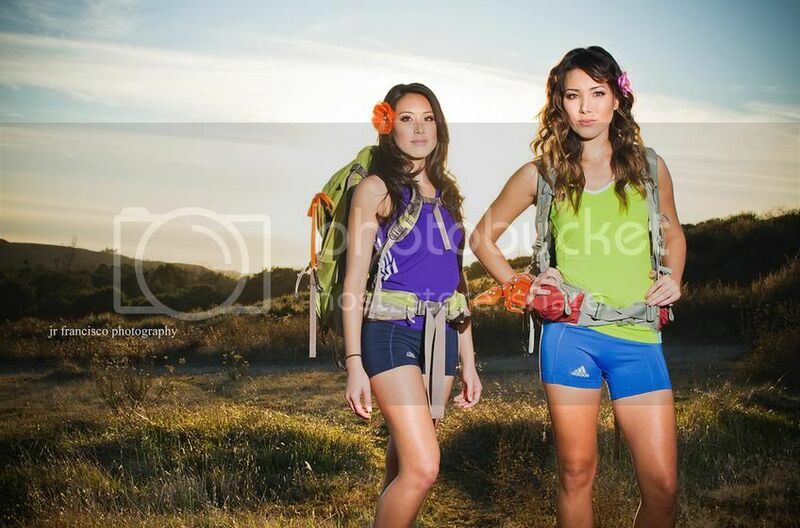 On Sunday night's premiere of The Amazing Race, sisters Misa and Maiya Tanaka got off to a rough start. They were the last to grab a clue from mini hot air balloons in Santa Barbara, California. Maiya's truck got stuck in the sand during a Road Block in Argentina and last but certainly not least, they didn't see Phil as they headed for the pit stop and ended up being the last to arrive. Today, we talked to the first eliminated team of the season in an exclusive interview about their relationship with one another, the bonds they formed with the other teams, and just what went wrong for them on The Amazing Race. Q. Gina, RealityWanted: Whose idea was it to try out for The Amazing Race? A. Maiya: It was kind of my idea. I've always watched the show and I loved it! I've watched every single season and I'm a huge fan. Basically, the way my relationship works with my sister is that I'm the idea person and she's the executor and makes it happen. Q. Gina, RealityWanted: You both seemed very athletic and competitive coming into the race. What other qualities did you feel that you had to make you a strong team? A. Misa: I think the biggest advantage that me and Maiya have is our sisterly relationship and we know our strengths and our weaknesses. When it comes to a challenge, like who is better at direction, we knew it was a clear challenge for Maiya to do and it worked out perfectly because I'm the crazier one. I'm not afraid of heights. I thought it was a really cool experience to be able to jump out of the plane. Making split decisions would've been our advantage and I'm really sad we didn't get to show you guys what we were made of. A. Maiya: I think just growing up together, we know each other and each other's personalities, strengths, and weaknesses. Being sisters, we know we're going to be sisters in the end and she can't get rid of me. Whatever fight we may have had, we knew we could get through everything. Q. Gina, RealityWanted: You had a little bit of a slow start, falling to the bottom of the pack when trying to find a clue in the mini hot air balloons in Santa Barbara. How much does stress play a factor in your state of mind when you're running the race? A. Misa: Oh my gosh! It was so stressful! It became even more stressful knowing that we started with 11 teams and it turned into a 1% chance. Running up and down those gigantic hills was really, really tough - not only physically, but mentally. We saw the last team leave and we knew we might be there for a long time. Stress definitely plays a huge factor. If you can have a strong mental game, you can do pretty well. I didn't realize it would take such a toll on us, not sleeping and being dehydrated, all of those things. Q. Gina, RealityWanted: Maiya, how long did it take for you to find someone to help you get your truck out of the sand in Argentina? A. Maiya: Oh boy, that was an effort for sure! I actually was trying to dig myself out for about 15-20 minutes and just like, literally... there were some rocks nearby. I tried to put those under. Basically, I think I was there for I don't even know how long. I think it was a time warp. I was waving people down and there were not too many people that came down that road. I waved down a motorcyclist and he had some rope and then we waved down another car. The rope snapped in half, we tied a knot in it, and we flagged down a tourist van and they called somebody to help us. The next car had wire. We were waiting for a truck to come by, we attached it to the truck, and from there, we were able to get out. It was like Team Argentina! Everyone was so nice. Q. Gina, RealityWanted: You were so close to beating out Joey and Danny but didn't see Phil at the mat. Watching it on tv, it looks like he's out in the open. What happened? A. Misa: It's crazy! I mean, you don't realize that Phil actually has an entourage with him. I'm looking for two people. I'm not expecting a bunch of cameras, oddly enough. The state of mind that you're in when you're competing and you know that you have minutes to work with, you get that tunnel vision. There was production and all that surrounding him so it wasn't an easy as it seemed. Q. Gina, RealityWanted: Even though you were only there for a short period of time, did you form friendships with the other teams? Was there anyone that you would've liked to work or align with? A. Misa: Yeah, definitely! We formed a fast bond with the border patrol agents, Art and AJ, because they're from San Diego. They were like our dads looking out for us. Nobody really saw us as threats, starting out. A. Maiya: Though they're nowhere near the age of our dads! We wanna make that clear! [Laughs] We did kind of form a bond with the other girls on the show. We were happy that there were other female teams. We nicknamed the Mississippi girls "Double Bubble". We loved Jamie and Nary, too. They were badasses from the start. A. Misa: And also, Bopper and Mark. You can't help but love them! We were talking to them at the airport in Santa Barbara and they told us what they were fighting for, Bopper's daughter, and we knew they were there for a very good cause. Q. Gina, RealityWanted: Did the experience of running The Amazing Race live up to your expectations? A. Maiya: Yeah! It was everything I could've imagined it to be. Just 10 times more stressful, I guess. Watching it from your couch at all, you form a connection with people on the race but it's impossible to imagine everything that goes into it. We put our heart and every ounce of strength into winning this thing. We just tried our best and tried to prepare our best and we got a little bit unlucky in the end. A. Misa: It was more than amazing to be on the race and to be able to experience this with my sister was priceless. This was a huge blessing. Thousands of people would love to be part of this and to be chosen to run this race was just a huge, huge opportunity. We're very thankful that we were able to be a part of it, even though it was a small part! Misa Tanaka and Maiya Tanaka were eliminated during Sunday night's premiere broadcast of The Amazing Race's twentieth season. The "Sisters" duo became the first team eliminated from the around-the-world competition after they arrived at the CBS reality show's first Pit Stop in Salta, Argentina in last place because they lost time looking for the spot where The Amazing Race host Phil Keoghan was standing and came across some other minor obstacles along the way. On Tuesday, Misa, a 27-year-old car buyer from San Diego, CA, and Maiya, a 25-year-old professional golfer from San Diego, talked to Reality TV World about their The Amazing Race experience -- including how far behind the other teams they believed they finally arrived at the Pit Stop mat, how they managed to get lost at the end of the leg when Phil admitted he could see them running around from a short distance, whether the incident in which Maiya's car got stuck in the sand lost the team valuable time and contributed to their elimination from the Race, and who they thought were some of their toughest competition. Reality TV World: How far behind Joey "Fitness" Lasalla and Danny Horal do you think you two arrived at the Pit Stop? Misa Tanaka: We were seconds behind Joey and Danny. I mean, running up to the mat, we saw them still standing on it. They were actually just walking off the mat as we were running up to it. It's just we took the most roundabout way ever to get there. Reality TV World: You guys finished the empanada task before Joey and Danny but you clearly couldn't see Phil on the mat and seemed to run around the location of the Pit Stop although you were in the correct area. Could you guys talk about what happened there? Why do you think you got so confused and lost and do you think you could have done something differently to have avoided that situation? Maiya Tanaka: Basically what had happened is Phil, at that point, we knew we had to finish really fast because our bags were still in the car. So from that point, we went to the car, we got our bags, and we kind of started from the outer perimeter of the place. We were kind of just running around a little bit frantic knowing that Joey and Danny were just a few empanadas away from finishing. So, we basically were a little bit frantic. We were a little dehydrated and basically had tunnel vision. Misa Tanaka: Yeah, when you're that exhausted and frantic and under so much pressure and you're that dehydrated and you haven't slept, the elements change in how you process things. So, you do get tunnel vision and that's the last thing that I expected to get. I'm usually pretty calm and collected when it comes to being under pressure from experience in buying cars and competing to buy those cars up at auctions. So, I really didn't think that it would have that much of an effect on me. But it truly did. I mean, just the combination of all of those elements really impacted our ability to kind of take a bigger look at the entire area, and we just didn't see Phil at all. Reality TV World: Were a lot of members of the public also hanging around at the Pit Stop location? Because some viewers have expressed surprise at how you wouldn't have noticed all the cameramen and production people that also must have been near Phil and the greeter at the Pit Stop mat. Misa Tanaka: I did not expect at all for there to be a million camera people and some other cast members as well when they got finished would be standing around and everything. In my opinion, I just didn't think that there was going to be interviews or something conducted with the general public standing around as well and production. And so, I just thought it was going to be maybe a couple cameras and Phil and the ambassador of Argentina. So, looking at all those mounds of people, it just didn't cross my mind that that was supposed to be what we were looking for. Reality TV World: How long would you say you two actually got lost for? Maiya Tanaka: We weren't really lost. We were just kind of searching and we kept running into production the wrong way. So basically, we'd go one way and kind of get shooed off, so we'd have to take drastic U-Turns all the time and we kept going one way and they'd be like, "Nope not it." So we did a lot of those like step forward, turn around, and no, this isn't the way. So, we were literally like seconds -- we beat Danny and Joey at the empanadas by a matter of just a few empanadas. So we knew it was just really, really close and when you're frantic and running around, I don't think we really had an estimation of time. But it was really close. Reality TV World: You arrived at the empanada task in last place, but Joey and Danny took longer than you guys to make all 120 of those empanadas. How long do you think it took you to complete that task and how difficult would you say it was? Misa Tanaka: It wasn't that difficult. It was just kind of tricky in the fact that there was a specific way to fold those empanadas. You had to do them in specific patterns, but it wasn't all that difficult for us to complete just because we're used to making something similar with Japanese wontons. So, the patterns and stuff weren't hard for us. We knew we'd be able to execute very well and to complete that challenge really quickly. We arrived probably I'd say, what? Maybe 10 minutes after Joey and Danny. And so we got through those empanadas I would say probably, I don't know, six or seven minutes before them and were able to run back and get our backpacks. So, I mean, they were literally right behind us. Like Maiya said, they were only a few empanadas away from being completed. So we made up a lot of ground seeing that they were there ahead of us like a good 10 minutes. Maiya Tanaka: We love cooking and we're used to working together with each other, and especially in the kitchen, we'd do that all the time with our mom. So, that's kind of one advantage we did have, is that we are girls and we were very confident that we can complete the challenge in the fastest time we thought. Reality TV World: You girls seemed to pass some of the other teams once you landed in Salta and headed to the sky diving Roadblock task. What allowed you to gain some ground at that point? What happened during that time? Misa Tanaka: During that time, I was driving very aggressively and I think, I don't know, we were able to keep up with the pack. And so, me and Maiya are both really good at being able to decipher where the clues were hidden and what to look for. So we kept our eyes open so we didn't make any mistakes in going to get those clues. So we would literally jump out and grab those clues fairly quickly and then continue on. So I think that kind of helped us out a lot. Reality TV World: Maiya, your vehicle got stuck in the sand while Misa was in the air. Could you talk about what happened there and how long did you have to wait until someone finally stopped to help you out of the ditch? So basically, I knew where to go and I drove off the road probably 50 yards -- about a chip shot away from where I was supposed to, because I got a little excited that I knew where I was at and I saw my sister landing. I saw her in the sky, so I just wanted to pull over real quick and check to make sure -- trying to find that "X" on the map. And then I got stuck in the sand, and I was there for, I don't even know, time didn't really exist. All I knew was I had to figure out a way of getting myself out of that situation and I was able to chat with the locals a little bit. I waved down every car and motorcycle that passed by and it was kind of a process. The first guy I waved down was a motorcycle guy and he had some rope. The next car we waved down was a car and we tied the rope to my car and it snapped the rope in half. So we tied a knot in that rope and the other got stuck in the sand as well and so we had to figure out how to get that car out. And then finally, a truck came along and some guy had steel wires and we were able to make a little concoction to where we could pull my car out. So it was definitely a team process in Argentina. Reality TV World: So how much of your elimination would you attribute to that incident considering when you met up with Misa on the ground, you guys fell back into last place? Maiya Tanaka: Well the funniest thing is, is didn't put us into too much of a deficit because that whole time I was stuck in the sand, I didn't see a single team pass me and I knew I was in the right direction. So it was not until I had already waved down the truck and we had set up the wires and the rope that another team passed me. It was Danny poking his head out of the window waving at me and the clowns, I think [Cherie Gregg] passed me first. So I saw them, but it was only a matter of a few minutes. So I definitely just caught a second wind and knew I had to go run to my sister as fast as I could so we could catch up to the rest of the teams. Reality TV World: So it sounds like you guys could kind of sense you were in last place but were very optimistic you could recover, right? Misa Tanaka: Oh yeah, definitely. When Maiya got to me, we actually had to jog back through the desert back to our cars and as we were jogging back through the sand, we were probably 50 yards away from our cars and then we saw a bunch of teams at the same time -- like three cars driving past us. So we knew we weren't that far behind and like I said, it was probably 10 minutes or so that we arrived last at the empanada-making challenge. So we knew that we had a pretty good chance of recovering, at least so that we wouldn't come in last. That was the last thing that was crossing my mind. I felt like we were still in it. Reality TV World: What were your thoughts when you found out Rachel Reilly and Brendon Villegas were competing on The Amazing Race? Did you feel they were going to be a big threat and at what point did you discover they had competed on Big Brother? Because it seemed like most of the teams didn't weren't aware of who they were. Misa Tanaka: Yeah, I had no idea that Rachel and Brendon were on Big Brother. I had no clue who they were. I thought Brendon was like a baseball player the whole time. (Laughs) So I didn't know until we reached the airport in Santa Barbara, California, and they actually told us because we were discussing what we did and everything and they were very upfront that they were on Big Brother. To me, I didn't think that they were going to be -- they weren't going to have an advantage or anything like that. I thought that maybe they would have some strategy skills behind them, but other than that, we didn't really encounter them too much when we were on the Race. Reality TV World: Looking back, do you think you two or any of your fellow Racers were jealous or upset that Rachel and Brendon were competing on The Amazing Race for a million dollars despite the fact Rachel had already won a million from competing on Big Brother? How did you guys feel about that? Maiya Tanaka: I don't think it would have been different. I think the only thing that we looked at was I knew with Big Brother, you kind of have to be concocting a plan and kind of manipulative and you know, I was aware of that. But that's why I made a point of trying to get to know them on the plane and everything. But we're not really the jealous type of people and we figured we could outsmart them and outrun them, so we weren't too worried and it was really early on in the Race. So we kind of didn't really make any assumptions besides the fact that all the guys were huge (laughs) and like very athletic. We didn't really let any of that stuff get to us. We kind of were just playing our own game. Reality TV World: Who did you think was your biggest competition while you guys were on the show? And were there any teams you weren't really threatened by for whatever reason? Misa Tanaka: I definitely thought our biggest competition was going to be [Art Velez and J.J. Carrell] because we knew that they were in border patrol and they were going to be able to stay calm and collected under pressure and they were going to be able to read maps and be able to analyze the best decision and make split-second decisions very quickly and accurately. So, I thought that they were going to be a huge threat. Maiya Tanaka: My money was on the twins [Elliot Weber and Andrew Weber] just because they were double trouble. Basically, they were both very athletic. Andrew lied to us about being a professional soccer player. He said he worked with kids (laughs) so we knew they were in it to win it and we knew they were going to do whatever they had to do to try to win it. So, we had our eyes out for some of the athletic guys that basically we knew were going to be tough competition for us girls. Reality TV World: How did you decide who was going to the Roadblock task? Did you just plan to switch off week to week or did you base your decision on who seemed to be a better fit for the action described or was more excited to do it? Misa Tanaka: As sisters, we definitely know what our strengths are, and so, it was definitely a decision that was going to come pace by pace and we were going to analyze each Roadblock individually. So, it was a really, really easy decision for us because we know Maiya is a lot -- I mean, I'm pretty good at directions and I can find my way around, but she's definitely better with map reading and her compass skills. So when they asked who's better with directions, it was definitely an easy decision to say that Maiya was. It worked out perfectly because I love adventurous things and Maiya's pretty adventurous herself, but I'm really not afraid of heights or anything like that. So, jumping out of a plane was actually pretty fun. Reality TV World: How were you cast on The Amazing Race and was it your first time applying for the show? Maiya Tanaka: We had watched the show multiple seasons and that was absolutely my favorite show ever and basically, my sister and I just got together and I'm kind of the idea-maker and she's kind of the executer, so I just told her, "We should do this. We can totally do this with our skill sets and how we work together and just being sisters." And so as soon as I mentioned it to her, she was like, "We're making a video right now..."
Misa Tanaka: "...We're definitely going to do it!" So we made sure to print out the application and then we created the video and then we just sent it in! And we were lucky enough to be chosen. Misa Tanaka and sister Maiya Tanaka's exit from The Amazing Race on Sunday (February 19) will always be remembered for just how close they were to the pitstop when they abruptly turned around and ran off, apparently not seeing Phil Keoghan standing just in front of them. Unfortunately, that decision forced the San Diego siblings into last place and they were eliminated from the race after just one leg in Argentina. You must be tired of this question, but just how did you miss Phil and the pitstop? Misa: "When we ran out there we were so frantic to find the mat that we had no idea what we were looking for. When you're under those circumstances, there is so much pressure, you're fatigued and dehydrated, you get tunnel vision and you only see a few feet in front of you. We looked around, we looked to the right, everything, but we didn't have a clear expectation of what we were supposed to find. We were looking for Phil and knew he'd have a little bit of an entourage with him, but at the end of the day we just did not see him." Maiya: "The other factor is we knew how close it was. Joey and Danny only had a few more empanadas to make and we had to find Phil asap. That added pressure and knowing they were right on our tail made us a little scatter-brained at that point." Just how close was it between you guys and Joey and Danny? Maiya: "Well, we saw them on the mat so we knew it was only a matter of seconds. It was just a really close game at that point. We honestly ran around the whole property and came in from the vineyard - which nobody else came in from! We know we made a few wrong turns at that point!" It sounds like you can almost laugh about it now… Can you or is it still a bit of a sore point? Misa: "It's still a bit of a sore point for me. Watching it was really tough and even though we knew the whole time we'd come in last, it was still heartbreaking to watch that and relive the whole thing. All of your emotions definitely come out and watching it again I could feel everything I was going through that day. Now, looking back, we can laugh and say, 'Oh, my gosh, what were we thinking?' but it's still a tough pill to swallow." Maiya: "I think the main thing is it happened and there's nothing you can do to change the outcome so you might as well look at it in a positive light. We got to go to Argentina, we got to travel, I got to be with my sister and we got a lot closer. She got to skydive, I got to play in the sand!" How was the overall experience in Argentina? Maiya: "It was great. I loved the people there. I got to interact with a lot of them because I was stranded on the side of the road so it kind of forced me to! Everybody was so kind and everybody who drove by was willing to help me. This guy drove past on a motorcycle and although he couldn't help pull me out, he had rope. The next guy couldn't help pull me out because his car was too small but he had wire. Eventually we had a guy with a truck who could pull me out. It was a group effort. I realized how generous and kind strangers can be. It really made me appreciate the fact that we're on the show, it's such a great opportunity, and we weren't going to give up." Misa: "It was amazing for me because I've always wanted to go skydiving, so having the opportunity to do that and have it recorded on TV and be able to relive it was just awesome. And to skydive over such an amazing and beautiful country left my speechless. These are the memories we'll always treasure forever." How much did the race impact your relationship as sisters? Misa: "We had each other for support throughout the entire race and just training together in preparation to run the race brought us closer. We were working out together the whole time, researching together, and then having no cell phones or technology ,and dedicating all the time to each other, competing with each other, and acting as teammates brought us a lot closer." Would you ever travel together again? Maiya: "I don't know about that! (laughs). No, I'd love to travel with Misa. I'd love for her to come out to one of my golf events or something like that. I feel we did get a lot closer and we can rely on each other and have each other's backs for everything. We'd like to travel together where we're not under so much pressure!" Misa: "We'd love to go to Japan, that would probably be our biggest dream come true; it's where our ancestors are from." Did you have enough time on the race to strike up any friendships with the other racers? Maiya: "Art and JJ are actually from San Diego so we had an instant bond with them being from the same area. They were kind of like poppa bears to us, they looked out for us, and they were really cool guys." Misa: "Bopper and Mark are so funny! Bopper was so entertaining and he was somebody we instantly felt a bond with. We knew he had a lot of fight in him because he was fighting for his daughter and the bigger picture. Also Joey and Danny, mainly Joey, because I rode in the plane with him. It was so nervewracking! Even though I've always wanted to go skydiving, I was so nervous being up there in the plane. We kept getting higher and higher, but he kept me cool." Maiya: "Also, being a female-female team, we got kind of close to the other female-female teams which were Nary and Jamie and Team Double Bubble, Kerri and Stacy. It was kind of like girls stick together a little bit. It would have been interesting to see what we could have done together." Did you recognize Team Big Brother - Rachel Reilly and Brendon Villegas? Misa: "I had no idea they were on Big Brother! They told us; they were very upfront with it at the airport after coming out of the vineyard, but I would have never known if they hadn't said something." Maiya: "Some people tried to lie about what they did but they were very upfront about it." Maiya: "Right now I'm preparing for golf season and I will be playing on the Futures Tour and the Canadian Tour and I'll try to qualify into some LPGA events. Basically, it's prep season and I've been working out and eating right and practising a whole lot since I've been back. I'm excited to start the season. I've been kind of a little timid in the sand bunkers lately (laughs) but I figure all my bad luck has escaped me for the year!" Misa: "I'm back to buying cars and I really hope that I'll be able to do some print work or commercials and hopefully some charity events as well so we can really give back from what we gained through our experience on The Amazing Race. I'm excited for what's to come in the future." Would you do the race again if you could? Misa: "In a second! We wouldn't think twice about it." Maiya: "We are such a good team and we have so many talents and skills we didn't get to showcase, so I do feel we would do it again in a heartbeat." Misa: "We need a redemption! We would not make that goof history mistake ever again!" Maiya: "And we know what Phil looks like now!" We asked Misa and Maiya some of the questions that you (the fans!) sent in via Twitter and Facebook! See what they had to say about their experience on The Amazing Race! Sean F.: What were you looking at that made it impossible for you to see Phil just a few yards away? Maiya: We weren't looking at anything I guess. We were so drained and let down that we were hopping Phil was going to jump out in front of us. We were running around and had to make a few u-turns and that was one of the ones we shouldn't have made. Julie M.: Were you embarrassed at all? Maiya: Honestly, this has got to be one of the biggest mistakes in Amazing Race history so, yes. It is embarrassing. However, we gave it our all and we only were seconds away. We just needed to look both ways. Misa: More than embarrassing it was disappointing. We fought really, really hard and caught a lot of unlucky breaks, but I was more disappointed than embarrassed. It is a huge mistake that we regret but we were more disappointed. Anita L.: What is the hardest part of playing The Amazing Race? Misa: The hardest part is not realizing how much of a mental game it really is - there are contributing factors like not eating, sleeping, dehydration, etc. The unknown is really hard. We are such rule followers so not knowing the directions and where we were going was really hard well as well. Maiya: For me, not winning was the hardest part to ACCEPT because we are so competitive. Any loss is really difficult and tough to swallow. Erin W.: What was your proudest moment while racing in the Amazing Race? Maiya: I was the most proud of how we acted and how we never gave up. I think the fact that we kept getting unlucky but we continued to persist through everything and kept our head up in the end, that is what I am most proud of. Misa: I'm really proud of our perseverance and that we were able to fight through all the challenges that came our way. We never got so disheartened that we even thought to quit. We kept fighting till the end. Leigh G.: How much of a role does nerves play in the game - i.e., it's going to be televised, there are cameras around, etc. Were you able to tune any of that out as you played? You did great, by the way, to even get on the show! Misa: Thanks. It was really stressful to have to make decision quickly during the game, but it was not nerves of being on television. Maiya: You almost forget that the cameras are there. The nerves come from wanting to win so badly and wanting to do well. I doubt they will, but they do deserve another chance. Bilal & Saeed, Eric & Lisa, and Misa & Maiya to return plz! Them over the cast of TAR16 anytime!! pulling down balloons was entirely chance so maybe a punitive task for being unlucky would have been a little over the top, especially since finishing this task early and getting on the first flight* meant that you were pretty much safe for the leg and only racing for the express pass while finishing it after the first 6 teams meant the second flight and racing to avoid elimination. I don't like it when TAR brings back early exit teams, so I wouldn't want to see them back again. However, that's just my personal taste - I don't normally like teams who didn't make the F6 to be brought back.